St. Andrew’s has been located across from the governor’s mansion in the heart of the capital city since 1869. From this southeast corner of Capitol and West Street she has offered an Episcopal response through the decades to a deeply southern, but ever-changing city. St. Andrew’s Church was established as a parish with eight recorded communicants in 1839, and became a parish of the Diocese of Mississippi in 1843. Even as Union army soldiers were burning the first church building, feisty parishioners persuaded General Sherman to provide food to starving Jacksonians during the federal occupation in 1863. The resilient parish made a strong comeback and relocated to its present home, where the first Bishop of Mississippi, William Mercer Green, positioned the cornerstone on June 1,1869. The first service in the new nave was held on All Saints’ Day the next year. The first vested choir sang at the Easter service in 1898, to the glory of God and the delight of more than 600 communicants. St. Andrew’s has a history of “firsts.” In 1903, we assisted in the formation of the first African-American mission in the diocese which is still Jackson’s thriving St. Mark’s Episcopal Church in west Jackson. Shortly thereafter, St. Andrew’s chartered the first Boy Scout troop in the city--also still active. The eras of two early rectors are still known among parishioners. Dr. Walter Capers served for twenty-seven years. The midnight Christmas Eve service was instituted during his tenure. By 1941, thirty-five members of this early anchor in the city had already planted her second mission: St. Columb’s (originally located in west Jackson, now in Ridgeland, Mississippi). Dr. Vincent Franks, Capers’ successor, served from 1947-1959, during which time St. Andrew’s Episcopal School was founded. The rector’s wife, Adele Franks, served as the first headmistress. The school, which opened in the parish hall in 1947, with 42 students, had been the vision of committed communicants Sherwood Wise and Reynolds Cheney, and it became the first independent school in the area. From its beginning, the school was committed to welcoming students of all races and ethnicities when other schools in the area did not. A succession of school moves has occurred: in early 1950, to a house on North State Street, and in 1966, to Old Canton Road. In 1985, the middle and upper schools moved to a new campus in Ridgeland, Mississippi, immediately north of Jackson. The lower school still remains on Old Canton Road in Jackson. The Cathedral dean serves as an ex-officio member of the school board, and three Episcopal chaplains, two of whom are on the Cathedral staff, serve as spiritual leaders at the school, inducting weekly chapel services. St. Andrew’s Episcopal School is known today for its high quality of academics and for its multi-cultural and racially diverse student body. Twenty percent of the 1,172 students enrolled in the past academic year were Episcopalians. By the start of the new decade, the Capitol Street congregation would form its third mission, this time in a northeast Jackson neighborhood. Today, St. James is the largest congregation in the diocese. 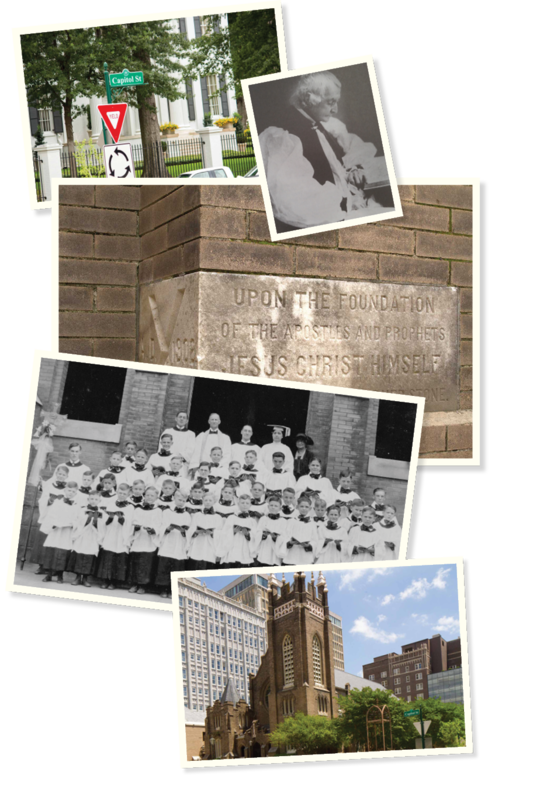 By the mid-1950s, as the St. Andrew’s family continued to grow, a new building on the west side of the church property was erected to provide classrooms, staff offices, and office space for the bishop and his staff. An inner garden courtyard was added. The last to serve as rector of St. Andrew’s Church, The Rev. Edward Harrison (1958-1962), met with some controversy for his brave stance during the racial turbulence of the 1960s. In the heat of the decade, Freedom Riders came to Jackson over the summer to show support for racial equality. Among them was an Episcopal priest who was arrested. Father Harrison took Eucharist to him in jail. Before Harrison’s tenure concluded, St. Andrew’s parishioners would establish yet a fourth mission, this time in collaboration with members from St. James’ Episcopal Church. St. Philip’s Episcopal Church broke ground in 1962 extending an Episcopal presence well beyond the downtown anchor. Dean Keller was gracious and complete. He and his wife Patty made a charitable gift to establish the St. Andrew’s Bookstore to be operated as a non-profit corporation. [The bookstore operated for more than forty years, until web-based competition made it an impractical operation.] A cherished dean who never saw his position as a “stepping stone,” became the electable candidate for Bishop of Arkansas. It was during this decade that a talented (though reportedly cheeky on occasion) organ-choirmaster arrived from England and would survive the next six deans. John Paul, a graduate of the Royal Academy of Music in London, was recruited by Keller for his study in the Anglican tradition at the young age of 22. During his 50+ years as organist and choirmaster, John oversaw the construction of the pipe organ and attracted serious and gifted musicians devoted to his style. In later years, he helped to create the Cathedral’s partnership with the Mississippi Museum of Art’s Music in the City program. He built a renowned music program at St. Andrew’s that a considerably younger and equally talented musician has seamlessly maintained and is shaping in new ways. Another well-loved dean was soon to follow Keller. The present-day search committee should take note of the process that landed this notoriously gifted teacher and preacher. 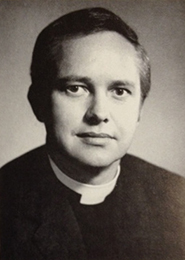 The Reverend John Stone Jenkins (1967-1971) was courted by the wardens who paid him a visit while still Headmaster of All Saints’ School in Vicksburg. What’s clear about this story is the certainty and conviction with which the wardens made the call. In spite of his “star” quality as a noted preacher, they saw in Jenkins a priest with equally requisite spiritual and pastoral gifts. They went after him, and, with God’s help, persuaded him to come. It was during Jenkins tenure that St. Andrew’s earned its reputation as a place for spiritual formation. Attracted to the renewal movement sweeping the church, Jenkins helped translate the social gospel into simple and practical terms. Through what would later become his nationally-known Disciples of Christ in Community (DOCC) Program, the value of small groups took root. He also practiced what he preached. Under Jenkins publicly progressive leadership, the Cathedral sponsored the opening of St. Mark’s Education Day Care Center with our predominantly African American sister parish and marshalled efforts to improve the public schools. Jenkins was proactive in reaching out to the Mayor and city governance to address crime; and he championed the election of the first woman to the vestry (Charlotte Capers, the daughter of the former rector). Later, as a returning interim, Jenkins would establish the Catechesis of the Good Shepherd program. The more modest and relatively short term of The Reverend Bob Oliver (1971-1974) saw additional building improvements, including the connecting walkway in the garage, enclosure of the chapel porch, and dedication of the Montjoy Youth Center upstairs. During his tenure, the first woman lay reader and licensed chalice bearer (a St. Andrew’s parishioner) was commissioned. The Cathedral Chamber Society performed with full-orchestra as part of the noontime “Wednesdays at St. Andrew’s” program and set the stage for a strong connection between the Cathedral and the arts community of Jackson that still exists today. Oliver left after three years to become the dean of the prestigious American Cathedral in Paris. The esteemed Sid Sanders came next. 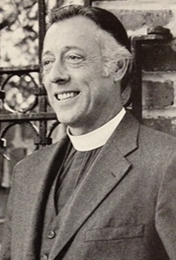 The Reverend Brice Sidney Sanders (1975-1979) held steady the diocesan flagship during the unsettling days of national church reforms. The ordination of women and prayer book revisions were issues of the day and Dean Sanders made clear his intention to abide by the wisdom and decisions of the General Convention. The first Lenten Study groups were formed involving almost 350 parishioners; and the Cathedral welcomed its first Cursillo. The congregation reached an all-time high of 1468 communicants during his short tenure. Sanders became the second St. Andrew’s dean to be called to the episcopate in another diocese. At the beginning of the new decade, The Reverend Roderic Murray (1980-1988) capitalized on the robust participation built by his predecessors and helped to channel St. Andrew’s growing sense of evangelism through community services and partnerships. Many of the lay ministries we support today took root during Murray’s tenure: Lay Eucharistic Visiting, Lay Pastoral Care, Meals on Wheels, the Chemical Dependency Commission, and the Mississippi Food Network. Working collaboratively with six other churches, St. Andrew’s helped to launch operations of the Stewpot Community Services, which included the food pantry, community clinics, after school and summer programs, and several homes for special populations of men and women. Stewpot remains a vibrant centerpiece of St. Andrew’s outreach. Internally, the Family Choir, Education for Ministry, and the role of Vergers were initiated. Working without bylaws (which were not to be written until thirty years later) contributed to murky lines of authority and strained the relationship between vestry and this dean. The ordination of Molly McBride as the first woman priest in the diocese took place during Murray’s first year. Affectionally known as Ed, The Reverend James Edwin Bacon (1989-1995) served as St. Andrew’s sixth dean. It is not hard to find an Ed Bacon admirer reflecting still on the strong spiritual community present at the Cathedral in the early 1990s. Habitat for Humanity, the Befrienders Group, Ministry to Rowan Middle School, Coffee Club (precursor to Tuesday Morning Breakfast Group), and the Honduras Medical Mission were all started during this period. But what most excites parishioners about the “Bacon Years” is the spiritual formation in small groups that fed us. He credits Jenkins with laying this foundation but put his own mark on an expanded structure: the Branches. We remember him as a great preacher and teacher, nurturer of intimate and intellectual gatherings, and deferentially pastoral. He hired an effective administrator to free himself up for the important work of witness, including a prescient acceptance of the LGBTQ+ community. A distinguished preacher and best-selling author, Ed was wooed across the country to serve a large parish in Pasadena, California.